On the third day, we rose before dawn and made our way to Cape Town Airport to catch a regional flight to George. 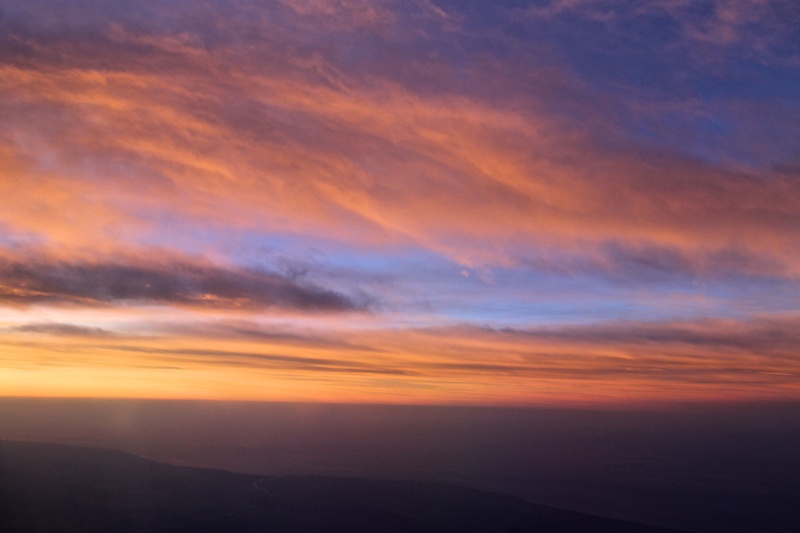 The image of the sunrise (below) was taken from the plane as we were taking off, making the early morning start so much easier to deal with. 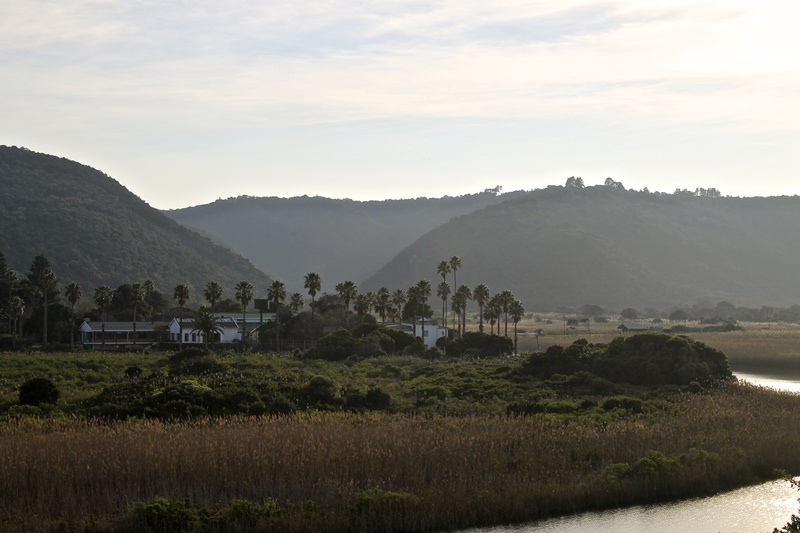 When we landed at George, we hired a car to drive to Plettenberg Bay. Plett is one of my dad’s favourite places in the world. He spent almost every summer there as a young boy in South Africa. 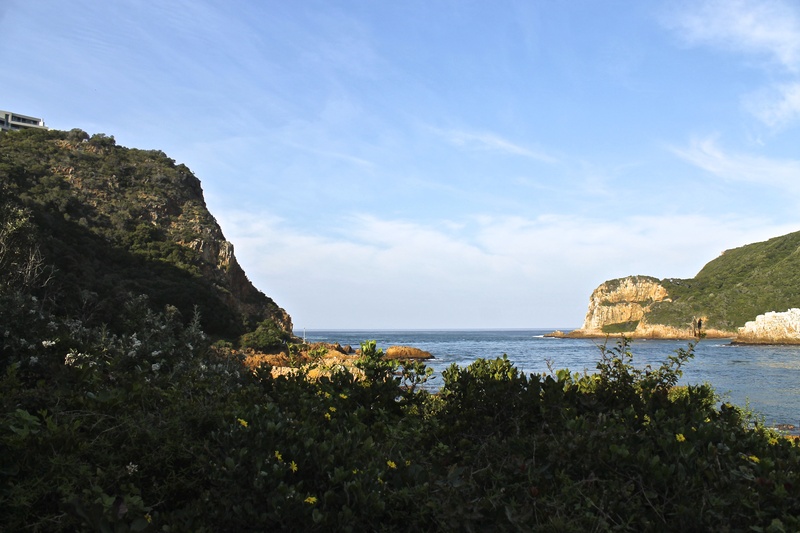 About half an hour out of Plett, we stopped at a town called Knysna to have brunch, before driving on to the Elephant Sanctuary at The Crags. This was one of the most amazing afternoons of my life. The sanctuary offers a “hand-in-trunk” experience where you are able to walk side by side with an elephant guiding you – their trunk in your palm. For such large animals, they are surprisingly gentle. 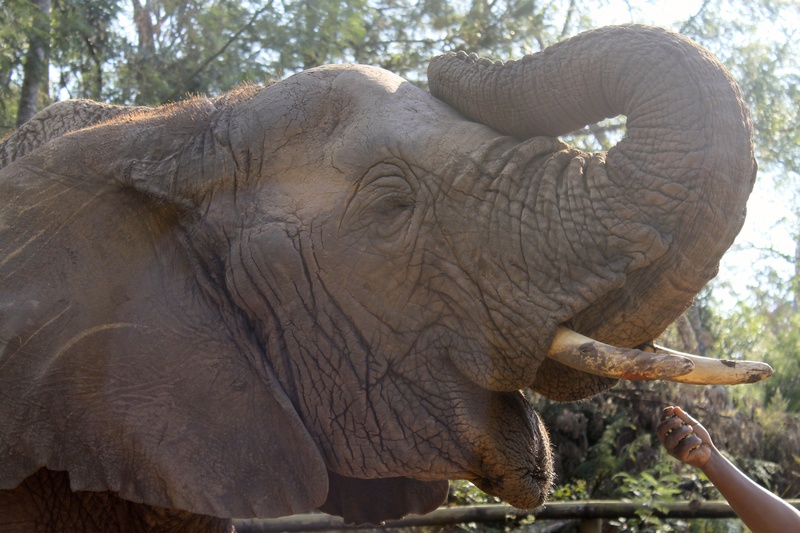 One of the female elephants was born with a genetic mutation that meant she was unable to grow tusks. 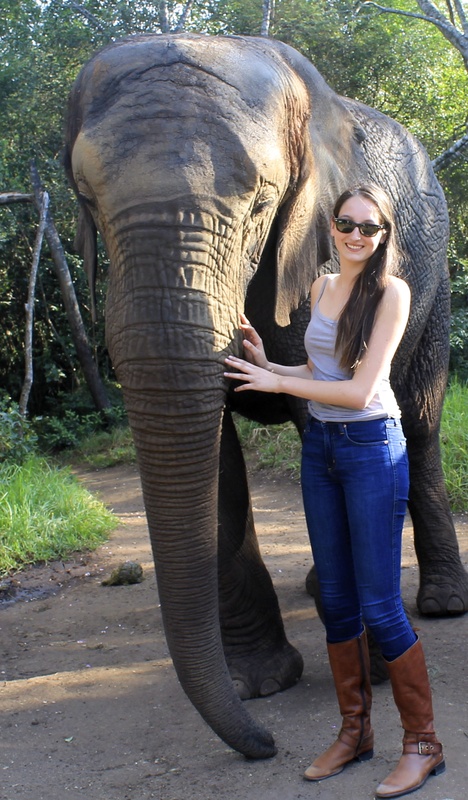 The carers at the sanctuary believe this is due to ivory poaching, as hunters kill off more and more elephants that carry the gene for large tusks. The elephant was called Thandi, which means “loved one”. Thandi is also my middle name. The carers told me that if Thandi was not rescued by the sanctuary, she would have little chance of surviving in the wild, as elephants need their tusks to dig for food and water. We then drove down into Nature’s Valley reserve. After that day, I could safely say that South Africa has some of the most stunning landscapes I have ever seen. Although my father said it was slightly more urbanised than the last time he visited, I still had never seen a more pristine river, shrouded in mist and separated from the sea only by a sand bank a few hundred metres in width. 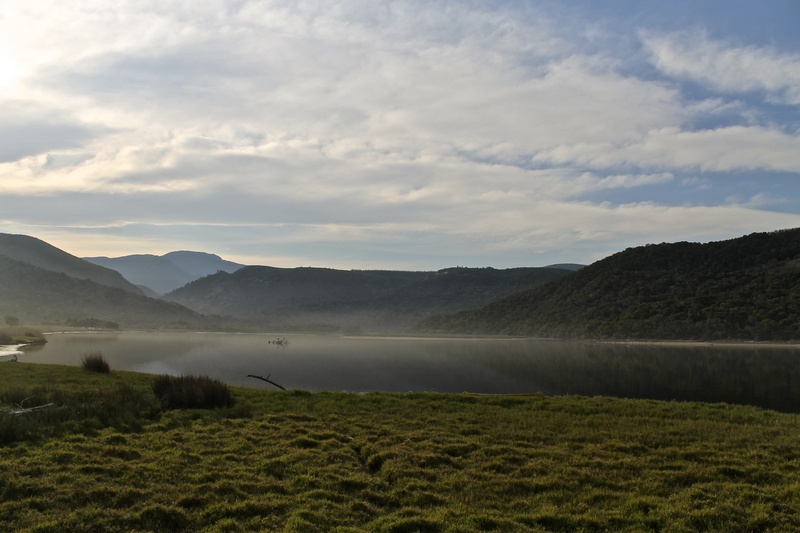 The picture below was taken with my back to the sea, looking up the valley and over the Groot River. 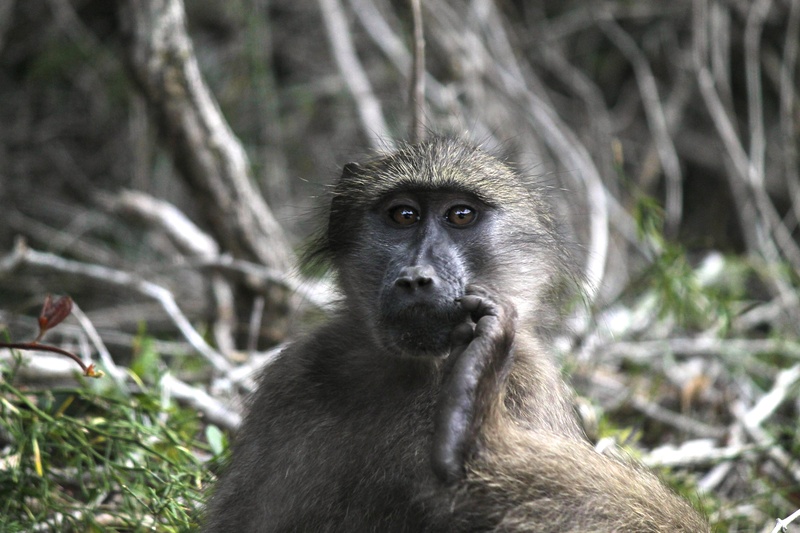 Nature’s Valley was also the first time I saw a wild baboon (bobbejaan in Afrikaans). 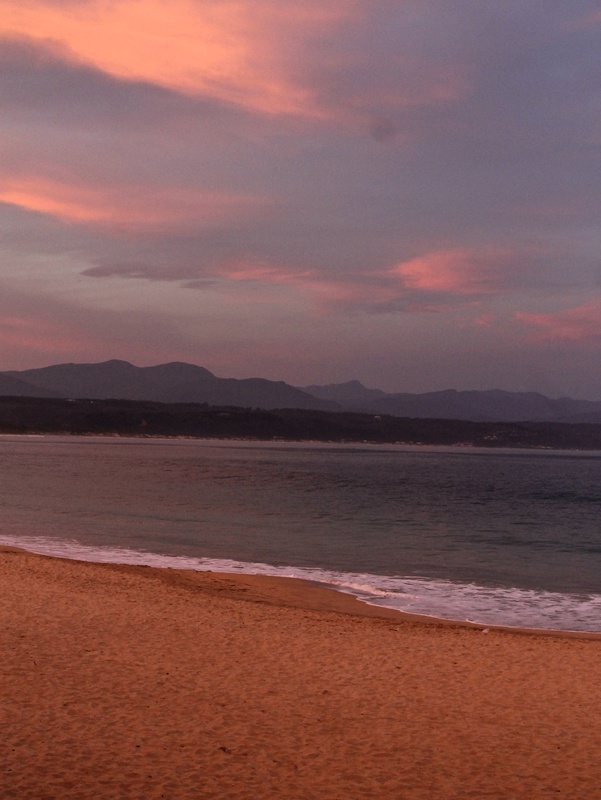 After a slight hold up with the baboons playing on the road, making it extremely difficult to pass, we drove back to Plett and had dinner on the beach at sunset. If you ever get the chance to visit South Africa, this is a place you must go.